What is it like to be an Account Manager at IMAGEMOTION ? 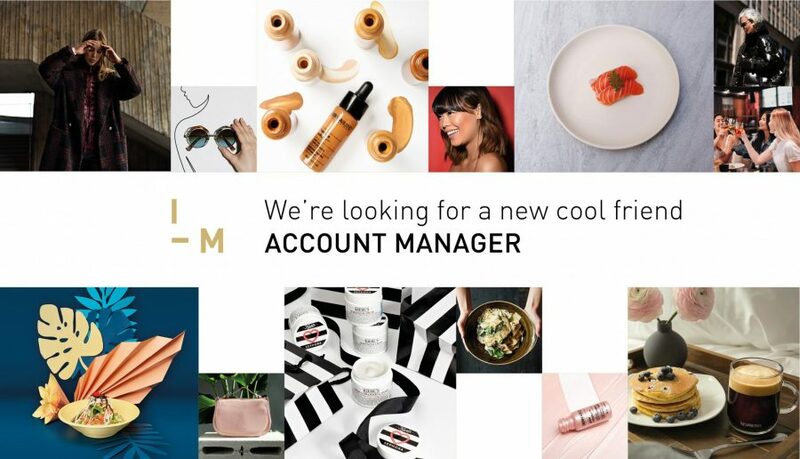 You will have the opportunity to work on some cool accounts, mainly in the lifestyle, fashion and beauty, National and internationally renowned brands. You will be supporting our President and Executive team in managing and overseeing the execution of 360 marketing mandates, day to day operations as well as the production of photo shoots and video shoots mandates. You will have the chance to work with a young and dynamic team in a creative environment from our head offices in Griffintown. Taking part in pitch meeting sessions. Write briefs and participate in strategic reflection with key team members of each department on new mandates. Oversee the execution of 360 integrated campaigns which involves various departments. Follow up and maintain communication with clients. Identify the resources required for the realization of projects, and authorize freelance resources. Coordinate creative and production teams dedicated to the project. Elaborate and follow up on budgets, provisions, and timelines. Evaluate and solve problems that could arise during a mandate. Prepare a full detailed report for clients on various accounts to present to the executive team. Build up a strong list of accessible freelance talents for project outsources. Oversee and manage the workload of various departments including social media, content and influencer activations. Support our president on the day to day operations, preparations to pitch, communications and other agency activities. Oversee the inbound and outbound marketing initiatives executed to support the business development of the agency.